"To think like an economist." This answer to the question, "What do you want you students to achieve?" is a bit cliché, but nonetheless does contain some truth about what most teachers of economics desire for their students. The discipline offers a unique perspective on decision making, emphasizing a rigorous, analytical approach. Unfortunately, much of the subject matter of economics is abstract and difficult for many students to grasp. 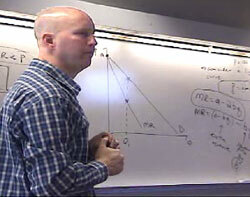 Professors of economics use a variety of approaches to make the material come alive for their students. The approach that I use in my Introduction to Microeconomics class is the in-class economic experiment. An economic experiment, whether used for research or instructional purposes, has three main components. First, there is a theory or set of theories we are interested in testing or describing. Second, human subjects are used. Third, the earnings of subjects are based on their actions and the actions of others. If an experiment is being used as part of a research program, earnings are usually paid to students in real money. In a classroom setting, one can use money, extra credit points, or simply the thrill of participating as motivation. In my Introduction to Microeconomics class I use experiments published in a textbook entitled Experiments with Economic Principles: Microeconomics (2e) by Theodore C. Bergstrom and John H. Miller. Using this text is certainly not required to run experiments in class. A number of my colleagues have written their own experiments, as have I. Using this text (or any of the supplements currently being offered as a companion to other textbooks) does present a unified framework that my students seem to appreciate. My entire course is built around the experimental methodology. We start the quarter off on the first day with a demonstration of how an experiment can be used to test the theory of free-riding in a public goods context. Following some introductory comments, the class proceeds with a series of modules. Each module begins with the presentation of a concept (competitive markets, pollution control, cartel behavior, auctions). Next, we run the experiment. We follow the experiment with a discussion of the results and we develop a theory of what we might expect to see. Finally, we conclude with a comparison of the expected or predicted results and the actual behavior in the experiment. In some cases, we continue with a more traditional treatment of the topic at hand. The key to this approach is a pattern of predict, experiment, and test. There are a number of advantages that I feel experiments have over a more traditional "chalk-and-talk" style presentation. First, students in an experiment are actively engaged. They are participants as both experimenters and subjects. Second, students are able to experience the dynamics of economics in a way that is simply not possible with a straight lecture approach. This means that they are in a position to think about not only the end result of a market process, such as equilibrium, but the adjustments that lead to equilibrium. Finally, in my case, in-class experiments are a way for my students to utilize a methodology that I use in my own research. The main cost of this approach is the time and energy required to prepare, run and evaluate the results of an experiment. There is no question that this method is more time consuming for the instructor. In addition, experiments require giving up breadth of coverage for more depth. My colleagues and I have enjoyed many discussions about the advantages and disadvantages of this approach. 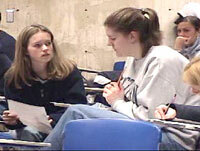 The consensus seems to be that while there are some students who would be better served by a more breadth-oriented approach utilizing more conventional delivery systems, the enthusiasm for the experiments and the ability to better visualize the concepts make the approach preferred for a sizeable majority of students. In the Cartel Experiment students are assigned the role of buyers of airplane tickets. First, the class considers the problem as if each student were an independent monopoly seller of tickets. Then, six students are selected from the class to be sellers (sellers vary from treatment to treatment). The sellers are asked to leave the room and plan their strategy. The six selected sellers quickly realize that they are a cartel and set out to mimic the monopoly solution. In the first (Perfect Enforcement), any agreement that the cartel makes is enforced by the market manager (me). The sellers are instructed that they can set a quota for each firm (which effectively implements the monopoly solution) and that I will not allow any firms to sell more than the quota amount (see data for Session 1). The second treatment (No Enforcement) is exactly the same as the first, except without any policing on the part of the market manager. Furthermore, buyers are encouraged to seek "special deals" with sellers via one-to-one bargaining. In the third treatment (Enforcement with Price Discrimination), sellers are allowed to charge a different price to two different groups of buyers. Again, because of enforcement, the cartel should be able to approximate the monopoly solution. The following table presents the results of each of the three treatments. Notice that in cases where the cartel was enforced (Perfect Enforcement and Price Discrimination) the sellers were able to come close to, if not perfectly, emulating the monopolist. This result was seen in the first repetition of each treatment. The No Enforcement treatment is more interesting. Recall that in this treatment sellers were allowed to make agreements, but the agreements were not monitored by the market manager. Furthermore, buyers were encouraged to approach sellers individually and seek out lower prices. This results in a breakdown of the cartel after a few repetitions. In this particular class the cartel held firm for quite awhile (either because of a particularly cohesive group of sellers or timid buyers). Sellers maintained a monopoly price of $15 with very few deviations. In the third repetition, partly to facilitate breakdown of the cartel and partly to illustrate the importance of communication, I placed the sellers in geographically separate parts of the room (up until now they had been massed as a group in the front of the room). This seemed to do the trick with first one seller and then another lowering their price and creating a stampede of buyers to get in on the lower prices. The figure below shows this deterioration in price over the three repetitions of the No Enforcement treatment. The experiments really helped to understand the subject matter, and the fact that we actually go to get up in class to play out the experiment was really cool. I really liked the experimental, hands-on approach to course - don't change it. It makes the materials tangible and dare I say exciting. If you are a teacher of economics you know that making the subject interesting and relevant is a good portion of your task. I think the experiments accomplish this better than any story I could tell or any reading I could assign. A student recently commented on her ability to retain information: "I felt the experiments provided hands-on learning and put me in an example situation of the concept being taught. It really helped to be able to look back on the experiment and remember what we did if I had a question." This comment emphasizes the most valuable outcome in this type of learning - being able to connect the experiences to the concepts; doing aids in remembering.